You and your friends are sitting around a camp fire on the slopes of a mountain. The lights of the city glimmer in the valley, while the last rays of sunlight set behind the mountain top in a sea of violet, yellow and red light. Great visuals, right? 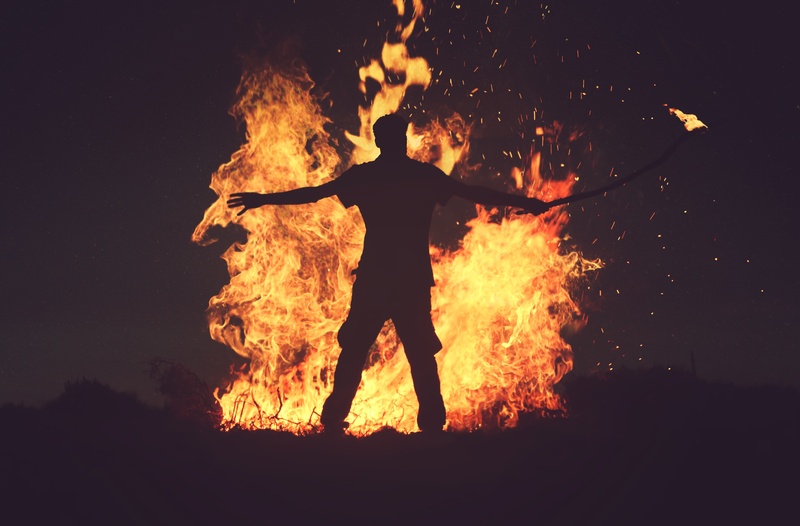 Since the dawn of time, people havegathered around camp fires and exchanged stories of emotions, experiences, people, hopes, heroic deeds and achievements. Images are created in our minds that make us gaze into the night sky and inspire us to dream. At Peaklight Productions we capture this vision and tell stories in the same visual and emotional way, so your stories may be remembered for a long time. Why do we create corporate films? The power of movin images is like no other. No other medium can inform, entertain, and broaden people’s horizons in such a way as film can. Every day people are captivated by audiovisual stories, films, videos, clips and however you may call them. In our time we have come across so many companies that couldn’t be any more different: From Fortune-500 companies to medium-sized companies that strive to innovate, to start-ups that disrupt the status-quo and companies that find new ways of doing business. Each of these companies has it’s origin, has gone through it’s evolution and finds itself confronted with new challenges every day that shape the companies path. These are the stories we at Peaklight Productions tell, so that your company grows and makes them part of your company legacy. In collaboration with our clients we design their effective and creative video message. With our client’s briefing in hand we organise the filming schedule, cast, gear and the production. We film all the content we need to successfully comvey our clients message through video. The visuals, sounds, graphics and texts are assembled and edited into a concise, effective and targeted message. After finalizing the video with our client, we deliver it in whichever format or codec they might need. We advise and consult with our client in the beste way to use videos to effecively reach his target audience and get the most out of his investment. Contact us now to find out what we can do for your business!